After sharing his professional story, Steve Stalzer, PT is back for the second time to tell us about the valuations of physical therapy clinics and the three factors that can improve our EBITDA. As founder of 8150 Advisors, a PT consulting firm, Steve has guided owners across the country how to calculate and improve the value of their private practices. In doing so, owners have created businesses that not only provide them greater profits but also greater stability, freedom, and a solid platform for growth. Steve breaks down the strategic steps of improving company valuation so you can maximize returns and set yourself up for your eventual exit. Proving how he is a valuable resource to have, Steve shares the tricks of the trade when it comes to creating long-term value. My guest is Steve Stalzer of 8150 Advisors out of Colorado. Steve is an experienced physical therapist who bought into and grew a physical therapy company across Colorado in South Carolina a number of years ago and eventually sold it. He is now serving physical therapists as a consultant and advisor through 8150 Advisors which he founded. This was supposed to be part two of a two-part interview that I had with Steve. As you read through this episode, recognize that we referenced part one and talk about this as part two of a two-part episode. To summarize, part one of the interview was about strategic growth and determining the ROIs on your marketing efforts and how that’s related. Marketing efforts and strategic growth are dependent upon having a sound foundation in your clinic such as policies and procedures, solid hiring practices, proactively hiring, providing quality care, establishing yourself financially well and establishing yourself in the community. 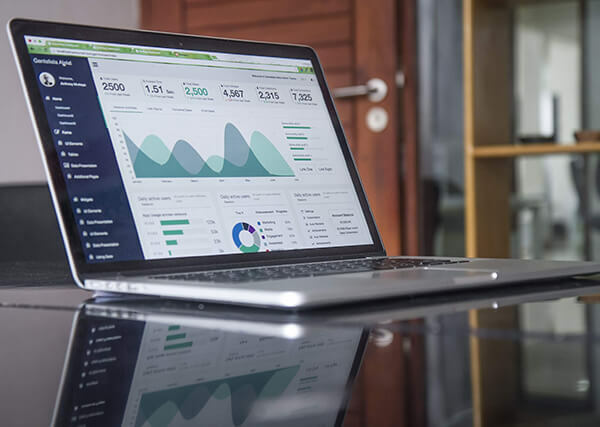 A number of factors go into the foundation of your clinic, but once you’re ready to strategically grow, you want to assess the ROI on your marketing efforts. It will help you accelerate your growth even more and acknowledge those avenues of marketing that are providing you the greatest benefit and especially the greatest profit. All of that was some great information that I failed to obtain on part one of the interview. Should you have questions and need some consulting and advice on growth or even establishing that foundation to your company, please reach out to Steve@8150Advisors.com. That is his email address. His website is www.8150Advisors.com. Steve graduated from the University of South Dakota in 1997. He also has degrees in Organizational Psychology from the University of South Dakota and an MBA from the University of Colorado. He’ll talk about his story with proactive therapy out of Vail, starting in 2001 that he worked closely with four other partners and the renowned surgeons at Steadman Hawkins Clinic. They eventually grew those four clinics into 35 clinics across four states and they pioneered some of the earliest and largest sports and orthopedic residency programs between Colorado and South Carolina. Steve began consulting with practice owners so that he could share his experience and knowledge with others shortly after he and his partner sold Proaxis Therapy in 2015 in which he is the Founder of. He consults clinic owners with growth, efficiency and succession planning. I have to apologize for not having part one. This is part two and if you have some questions about growth, succession planning and improving the efficiency of your company, please reach out to Steve’s email. Let’s get to the interview. I’ve got Steve Stalzer with 8150 Advisors back with me doing a second episode. Thanks for coming back, Steve. We talked a little bit about the ROIs of marketing and how that’s related to strategic growth and increasing the valuations of your company. Will you talk to us about how to value your company? How to get better valuations for your business? When I work without a nurse, the first thing that they should look at is the foundation. Looking and understanding the metrics, how they optimized their metric, do they have a solid team in place so that they can scale the business? Once they start to scale the business, looking objectively at what they’re doing for marketing, what’s their acquisition costs, go by specific activities and categories and understand the ROI. Looking at what activities are they doing to increase the value of the practice. That was a turning point for us when we started to look at what’s driving the value of our practice, not just growth, pitching number, size of staff, number of clinics but truly impacting the value of the practice. There are still a lot of misconceptions. There might be small misunderstandings about what drives practice value but covering some of those is a worthwhile topic. In the ownership of the business, do you recommend that they start following some of this stuff? A lot of footwork has to be done to hire the right people to get your statistic management in place and get your policy and procedures grooved in and working. Do you recommend they start considering the valuation or even tracking the valuation of their companies early on? Where about in the process do you recommend they start following some of these stats? It is valuable to understand what drives value even before you open a business. That is going to change the business that you built. In terms of looking at your actual value, as early as one year in the business, it’s the first thing I look at when I work with an owner. Ongoing whether I’m working with them formally or whether it’s a past client that I’m working with. I’ll offer to reassess their practice, their statistics and the value of the practice on an annual basis just because I like to see what progress they’re having. Are they getting results from the work we did? I share that knowledge with them so that they can see where they need to work and what they can do to drive valuation to their practice. It’s an underutilized tool within the industry. It doesn’t have to be super complicated, but it’s understanding those drivers of value that I think help owners make smarter decisions. There’s always something to that. I remember doing an interview with John Dearing where we talked about, “Are you ready to sell your practice?” If you’re considering what it takes for you to look good to other people and put your practice at the highest valuation possible, even if you’re not selling, that just means you’re running your company well. That means you’re stable. That you’ve got good marketing in place and you’ve got good policies, procedures and good people. All those things add up to an improved valuation of the company in general. When you talk about valuations of companies, it’s not about exactly how much I can get on the market. It can be a reflection of how well your business runs. If it’s running well, you always want that because a well-run business is going to be a more profitable business and it’s going to be easier for you to manage as the owner. You mentioned a few of the things that we talked about in that prior episode with John Dearing. It’s the diversity of payer mix, it’s the diversity of referral sources. What kind of leadership team or what kind of people do you have in place to run the business? Are you personally significantly involved in day-to-day operations or not? All of those things. Am I correct? Is that what you’re talking about when you’re talking about the value and the valuations of your company? Let’s even back up from there. We worked with John on several acquisitions. We had acquired four practices and we engaged John and Capstone to help facilitate all four of those deals happening. John mentioned that there are a lot of ways to value a practice. He likes to look at future cashflows and the value of future cashflows. The reality in our industry is that most businesses are valued on a multiple adjusted EBITDA. There are three factors in calculating that before we get into risk assessment and how the risk impacts on multiple. EBITDA is straightforward, Earnings Before Interest, Taxes, Depreciation, Amortization. That’s very straightforward to calculate. I get a lot of questions on the adjusted part of that equation. To run through some of those, the first one would be normalizing the owner salary. You see some owners underpaid themselves by $50,000 and people overpay themselves in comparison to what a replacement cost would be. You need to think about your add backs. What would the expenses look like if somebody else bought your practice? On a go forward basis, what does that look like? If you’re overseeing two or three clinics and you could replace yourself with a salary of $100,000, then that is very likely to be that normalized owner salary. In a bigger market with twenty clinics, that might be $150,000. The first part is normalizing the owner’s salary. You don’t get to add 100% of the owner’s salary backend. That typically is part of the business and required to run the business. The next part is looking at the owner add expense. That can be anything that’s an owner expense that isn’t necessarily going to be an expense going forward. If you’re doing all your continuing education in Hawaii and they’re week-long courses, that might not be usual and customary continuing to add expense. $2,000 for continuing add might stay in the calculation, but the $20,000 of five-star hotel and travel via that course would be considered an add back. Your gym memberships, your car and your cell phone, things like that can be add backs. If they’re part of business operations and when you say a cell phone, that might or might not be. A lot of times companies will pay for the cell phone or have a cell phone allowance for the business. That’s expected to be a go forward expense. If you add it back, then I wouldn’t expect to say, “How come they’re not paying for my cell phone after you sell a business.” Your mileage if you’re doing marketing runs or meetings between clinics, some of it is above and beyond the normal expenses. First one, normalize the owner salary. The second one, look at the personal expenses as well as one-time expenses. Let’s say you have a big accounting bill you transitioned from a cash basis to an accrual basis and you had a one-time accounting expense. Something like that would be a typical add back. The work that we do with clients to prepare them for sale, they are one time and they do not go forward expenses. The last one is looking at new clinic costs or startup losses. Let’s say you’re calculating the trailing twelve. The trailing twelve, for anyone who doesn’t know, when you’re looking at the EBITDA number. Let’s say you’re selling your practice mid-year rather than use the prior year’s financials, you’re going to calculate financial periods for the twelve months prior to your sale. That might be July through June. Let’s say you opened up a clinic ten months ago and that clinic lost $50,000 the last year. That is frequently and should be counted as an add back. It’s the normal standardized process. Once you adjust the EBITDA with those variables, now you’re looking at, “What multiple do I use?” I know you and John talked a little bit about this and size drives the starting multiple. It’s not necessarily revenue, but it’s your EBITDA that drives that multiple. Sometimes it corresponds, as long as your company is hitting that 20% range for profit margin. If you’re at a 5% profit margin, it’s not going to line up your revenue and your EBITDA out of whack. Your practice is underperforming. You get to starting multiple based upon where your EBITDA is at. Is it $500,000? Is it $1 million? From there, you have to think about, “What makes my practice more attractive and what presents risk for a new owner?” This gets into your question about, “What are some of these risks?” What I tell owners is, “On a positive side, the best thing you can do to make your practice more attractive and drive in multiple is to have positive growth trends.” If you think about a business that you would like to buy now, nobody wants to buy a business that’s going downhill. The line is going down and patient visits are flat. People want to buy businesses that are representing growth. That ties back to the strategies we talked about around strategic growth. The rest of it is mitigating risk. How do you grow your practice in a way that mitigates risk? How can you be aware of those factors as you work on your strategic plan? You’re continuing to mitigate risk associated with a lack of referral diversity of transitional risk around not having a strong team. Building your practice in a way that makes your practice run better, but also increases the value of it over time. If someone is looking to buy your practice, that’s what they’re looking for. They want to say, “If I’m going to put my money here, how safe is it?” If they recognize that this is a safe investment that’s going to continue to grow, I’ll pay more for that than for somebody who’s relatively static, the leadership is questionable, policy and procedures aren’t quite in place and their net profit margin is less than 10%. What they’re going to pay for is the people who are maybe in the upper echelon of profit margins greater than fifteen at least and maybe closer to 20% profit margins. There is strong leadership in place that’s not dependent on a single individual and diversification of payers and referral sources. Those can all be strong links that people are willing to invest in. That goes back to making your business better for you as well as an owner. Just focusing on those things can take you a long way whether you’re ready to sell or not. It’s no different than if you and I were looking at analyzing the stock. Something that is very stable is going to make a moderate return. Something that has a high risk to offset that risk, people are looking for a high return. The way that investors do that is to pay less for your company knowing that it has high risk associated with it. By paying less, you give them the potential for a higher ROI and it’s not necessarily good for you. Some of the things, you hit a lot of those. There are things that people can do to think about mitigating risk factors. I’ll just go down a checklist that I often run through when we’re doing a practice assessment. The first one that I talked to owners about is, “As long as you’re willing to stay on for two years, buyers like to see that.” If somebody is looking to sell business and exit, that’s a big red flag. It might scare some buyers away entirely because they associate that practice, that stability and some of those relationships with you being central to that. You’ve built that business into what it is. A lot of buyers get scared away if you’re planning to sell it and walk out the door the next day. We talked about growth trends being one of the best things you can do to increase the value of your practice. Overall, the industry has been growing an average of 7% for the past several years. This is market specific. If your growth rate is even 2% or 3%, you might be losing market share within your market. Often, I’ll use 7% as an ideal growth rate for the owners. It’s going to be market specific. Showing a positive growth trend is one of the best things you can do to attract buyers. You mentioned the profit margin. Anything that’s below 15% is going to raise a red flag in terms of how a higher risk is associated with it. Being in that 20% range is ideal and being below 10% is going to be a little bit of a red flag in terms of risk. In referral diversity and payer diversity, you’ll often hear that 25% of your referrals are coming from any one group or any one provider. There’s a risk associated with that. If you step back and think about it the present medical model where a lot of Orthopods are opening their own therapy practices. If 30% or 40% of your referrals come from one group and they decided to bring therapy in-house, that’s a big hit to your business. We’ve seen that happen with owners where they might lose 30% of their volume because of something like that. Payer diversity is an interesting one. A lot of owners have a hard time understanding this one. If you go back to the days of Balanced Budget Act and NPPR and things like that, Medicare cut rates relatively quickly across a large volume of patients. You’ll often see buyers look at Medicare paramedics about 25% also being a risk factor. You had clinics in Arizona. I’m guessing you average 40% to 50% Medicare and that’s the reality of doing business there. It’s something to be aware of that buyers might see that as risks. You mentioned team and I know you and John talked about having a process for developing leaders within your team and having a succession plan in place. If you were to walk away from the clinic for a month, would it continue to run effectively and efficiently without you there? You have a right-hand person that can step into your role. PT Clinic Valuations: Something that is very stable is going to make a moderate return. We invested a lot in training our clinic directors and wanting leadership development. What you see over time is that becomes your biggest variable to growth. Once you get recruiting down and once you get marketing down, then it becomes developing that middle management. That’s not unique to our industry. It’s a very common barrier that you need to overcome for future growth. With that team, your most buyers love to see if you have HR laws, if you have your clinic directors and even your staff under noncompete, then it’s reasonable, compliant and versatile. As a buyer, one of the scariest things is thinking, “What if the staff leaves?” I bought six buildings that are sitting empty and referrals are following us therapists. Back to your question about when you start thinking about value, just knowing that that drives value. That’s something to think about early on and understanding what the HR laws in your state allow and what’s a reasonable noncompete to put in place. I love that you brought all those up because they’re extremely valuable and we can’t go over those enough. We’re talking about valuations and that contend towards the conversation about sales. Where do you see the market is? As we’re talking, we’re in March 2019. Where do you see the trend for PT clinic sales and acquisitions? Consolidation in healthcare has been undeniable over the last few years. There’s a great blog post that Ryan Buckley has from Livingstone capitol. He does a lot of big MNA work within the PT industry. He graphed out the number on your add on acquisitions that have taken place over the past as well as the value of platform companies. When he’s talking about platform company, he’s talking about a company with 100 finance with private equity back company, maybe down to the 50 clinics or $50 million range. He’s talking about bigger companies that are a “platform.” If you look at the value of those companies, they were selling for about 7x to 8x many years ago. In the last few years, that’s been an average of 11.8%. Those companies have gone up by almost 50%. There are a lot of factors and I know you’ve had different people on who have talked about what’s driving consolidation in our industry and some writing acquisitions multiples. I attribute a lot of that to outside investors looking at healthcare. When you go back to the financial crisis a few years ago, private equity groups had to look at what industries weather that storm well. Healthcare is one of those industries that weather that well with aging demographics. There are a lot of factors that make physical therapy an attractive industry. Like it or not, that outside investment by private equity groups has driven the value of practices. We get a call once or twice a month from a private equity group who says, “We’re looking for the next platform company who has $5 to $10 million in EBITDA. We’ll even look at combining a couple of groups that have $2 million or $3 million EBITDA to make an investment.” The point is there are a lot more buyers out there than there are sellers now. How long has that trend continued? I never tried to answer that question and I don’t have a crystal ball. Often you hear people say, “The next 12 to 24 months is a great time to sell.” I’ve been hearing that for the past few years. Sometimes you have to look at who’s making that statement and who has a motive behind it. That being said, the multiples are at an all-time high. If you look at those platform companies, if your company is valued at an 11x or 12x by somebody for a 5x, you’ve immediately doubled the value of that company by tucking it under your umbrella. That goes back to make the point about size matters. You start to add together 50 to 100 clinics in different markets with different referral sources. There’s a lot less risk of losing 30% of it and you see multiples go up accordingly. We’re still seeing 30 to 40 acquisitions taking place most years. At the same time, you still see a lot of clinics that are coming out. The industry has a relatively low barrier to entry. Even though you’re seeing some consolidation, there are still a lot of independent clinics out there that are doing well. It’s been a seller’s market for quite a while now. You need a crystal ball to predict when that will turn around. You talked to some people and a lot of it is tied to interest rates. If these people are going to buy a clinic, they’re going to finance it more than likely. As interest rates go up and get a little bit tighter than their willingness to get loans and take money out, it’s going to go down. That might be one indicator if you’re wondering where the market is going at any given time. You can find a lot of information on will private equity become less aggressive as interest rates go up? That is a huge piece of the puzzle for private equity groups. That is something to keep an eye on. A lot of the guys that might be reading this blog aren’t necessarily in that position to sell. Maybe they are, but what is your advice to them? You said you go down this checklist with the people that you consult with. Is there a particular area that some of these newer or smaller PT clinics aren’t putting their focus on that they should be? Do you see a trend amongst the things that you’re working on? It varies. Have a solid strategic planning process where you assess your practice, look at your current value, look at your risk factors and look at what’s preventing you from the next big milestone for your practice. If you think about it, what would it take for you to double the value of your practice? Is that managing your metrics better? Is that having a more efficient recruiting process or is it a more effective marketing process? 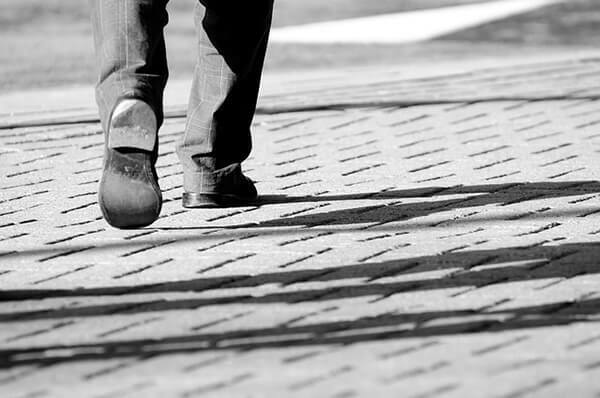 Stepping back once a year is ideal to assess your practice. In going through a thorough assessment of what’s trending up and real opportunities. Which of those opportunities are going to have the greatest impact on owner practices? It all starts with having a solid foundation, a solid team and solid metric management. From there, a lot of our value creation came from things like partnerships with health systems and creating joint ventures. In some markets, that’s an unrealized opportunity for owners. With others, it might not be. Sometimes we don’t look at that bigger picture to say what would that opportunity in owner practice do for our value? Even if that’s not your goal, but if you were to sit down in the strategy session and say, “What’s keeping us from doubling the value of our company? 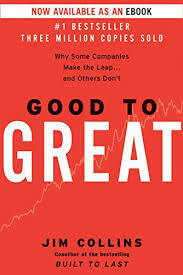 What would it take to double the value of the company?” That’s a good starting point to maybe start brainstorming what some of our obstacles are. What are some of our barriers that are bigger than what we’re dealing with right now in the current time? Maybe it is what you’re dealing with right now. To start from that question and go forward, it could be powerful. PT Clinic Valuations: Stepping back once a year is ideal to assess your practice. Two of the things that I look for when I’m working with an owner, we’re doing an assessment and we’re doing annual plan, is fixing significant weaknesses. Sometimes you have to step back your business to say, “What’s our biggest weakness that’s holding us back? Is it a solid clinic director development program? Is it our AR? Is it metric management? Is it marketing? What’s a significant weakness that if we fixed it, it would stabilize their practice and it would have an impact?” It would allow us to accelerate our growth. That’s a way of turning your weaknesses into opportunities. The other one is, what are your competitive advantages? How do you leverage your competitive advantages for growth? We try to quantify those things. When we started doing that within our own practice is when we started to get clarity on where we should focus time and energy as well as what is not worth doing. There are a lot of things that feel good and look good, but when you quantify it like, “Is it adding to the value of our practices? Is it stabilizing practice? Is it growing our practice?” That can help provide a lot of clarity. Sometimes, as an owner, it’s just as important to understand what you’re not going to do as it is to understand your top priorities. We talked a little bit about the valuations of some of the larger platforms. If you’re looking at a guy who’s got maybe one, two, three clinics and they are considering going on in the market for one reason or another or some exit strategy. Those valuations are quite a bit lower than the seven to eleven or eleven to fifteen that the larger platforms are getting. What would be a reasonable multiple for those guys who might be looking to sell? They’re not in the same category. I hesitate a little bit to put a number out there because there are many variables that come into it. If somebody has let’s say $500,000 or less of adjusted EBITDA, those are in the three to five range as a general rule. Less than $500,000 is a pretty big bucket. That’s everybody from $100,000 less than $1 million of revenue. Somebody that seemed that $500,000 adjusted EBITDA range, if they’ve got a solid practice, there are not a lot of risks. That’s the starting end. As the profit goes up, multiples go up. It’s not uncommon to see private practices in the 9x range if you’ve got $4 million or $5 million. You can start to see as you increase in size, it gets closer towards that range. That’s a general number that you can put out with a few caveats. To get the higher ends, you’re going to have to follow exactly your list for mitigating risk when it comes to positive trends and a diverse payer mix or diverse referral source mix. That’s when you’re going to get the higher multiples. When you say three to five, I can remember getting proposals a few years ago and they were closer to two range. They’ve gone up and that’s a benefit to those people who are looking to get out and a boon to the practice or to the profession in general. When we’re talking about valuations, is there anything else that you’d like to think about or you’d like to stress with owners? A couple of other things that are good to keep in mind. Any owner that has let’s say an MSA with a hospital or physician group where they’re providing therapy but it’s under a service contract. Those often have a 90-day out or 120-day out or either side can terminate the contract every three years or so. It’s important to understand the language in those contracts. You might not be able to shift the language in those contracts. Those are going to have an asterisk next to them when you’re looking at the value of that practice. They’re not going to command the same multiple that your general business carries just because of that out. They might be valued closer to 1x. I’ve seen examples and then part of examples where those who run for a long time, but eventually get terminated and therefore represented a high risk and their multiples are not the same. Overall, having a mechanism or understanding how to calculate your adjusted EBITDA and where you’re at now, understanding your goals and what your exit options are. It’s that classic starting with the end in mind. There’s a lot of value in that even if your eventual exit is not in the next few years. Understanding how all these things are going to impact your profit now and your future value and your future exit options. Understanding that there are risk factors. The more you can chip away at knocking those risk factors down, it’s not just going to be good for eventual transaction and transition. It’s going to increase the stability of your practice. It’s going to prevent any incidents from hurting so much if something happens. It’s a good way to organize if you’ve got an ownership team with several owners. It’s a good way to align the team and saying, “Let’s look at priorities.” When you start to look at value, it focuses on that conversation. It could be great for having that common goal within your ownership team. If people want to reach out to you personally, Steve or with your group, how would they do that? Our website is www.8150Advisors.com or they can email me at Steve@8150Advisors.com. If people have follow up questions, I’m happy to help. Our whole team got into consulting as a way to pay for what we learned from others along the way. We enjoy helping business owners grow the value of their practice and hopefully, learn from some of the mistakes we made and learn from some of the things that we did well. That was why we started 8150. That’s our goal. You’ve already added a ton of value to whoever is reading this. I appreciate it. By all means, if people need or want more information about what Steve was talking about or about getting some coaching consulting in general, I highly recommend you reach out. Thanks for your time, Steve. Thank you, Nathan. I appreciate it. Steve graduated from PT school at the University of South Dakota with a masters in physical therapy in 1997. After working in several leadership roles, he joined Proaxis Therapy in Vail, CO in 2001 where he was one of four partners in an outpatient practice that focused on sports medicine working closely with world renown surgeons at the Steadman Hawkins Clinic. Over the next 15 years, they grew the practice from 4 clinics and 12 therapists to 35 clinics across 4 states with a staff of more than 200. Steve and his partners grew the practice through a combination of acquisitions, opening freestanding clinics as well as forming several health system partnerships including both joint ventures and management agreements. They pioneered one of the earliest and largest sports and orthopedic residency programs taking 10 residents each year between their CO and SC operations. They also collaborated with Blue Cross of South Carolina and Greenville Health System on a “Therapy First” initiative for the treatment of low back pain and placed therapists in several ski town emergency rooms in Vail, Beaver Creek, Breckenridge and Keystone. 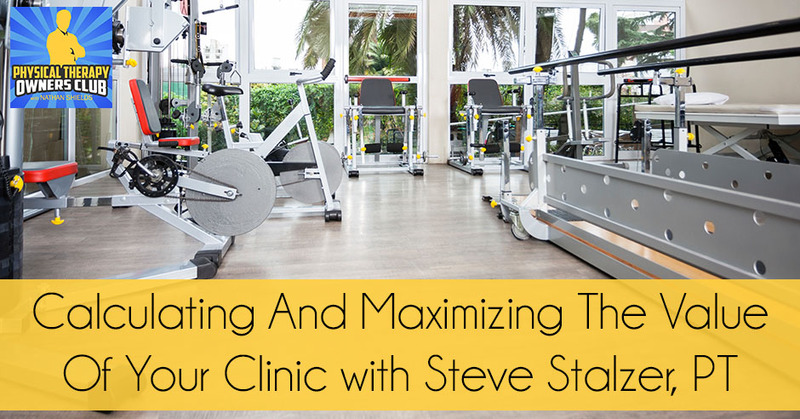 Steve attributes their success to having built a great leadership team and investing in that team by working with leading consultants both in and outside the therapy industry. Steve began consulting with practice owners to share his experience and knowledge with others shortly after he and his partners sold Proaxis Therapy in 2015. Steve is the founder of 8150 Advisors, a physical therapy consulting team that helps clinic owners with growth, efficiency, and succession planning. Steve has degrees in Organizational Psychology and Physical Therapy from the University of South Dakota, and an MBA from the University of Colorado. In 2018, he was the lead presenter on “Strategic Growth: Big Data, Cash Cows, and Mangy Dogs” at PPS along with John Dearing from Capstone Advisors and Emily Bagby, a Practice Liaison Consultant with 8150 Advisors. Steve has written several articles for Impact Magazine on Strategic Growth, Practice Valuation, and Succession Planning.